The origin of Tai Chi goes back to the Taoist priests. 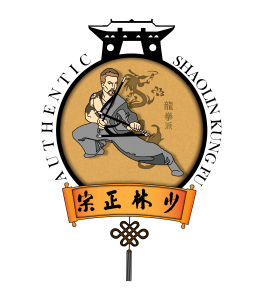 Tai Chi Chuan-Fa is a soft combat style of Kung Fu. What is commonly taught in the world today is Tai Chi without the Chuan-Fa. In other words people are being taught the internal, soft, energy building side of the system. Tai Chi as it is taught today is really the Qigong side of Tai Chi Chuan. Tai Chi Chuan, or taijiquan, is an ancient Chinese form of coordinated body movements focusing on the cultivation of internal energy ‘chi’ or ‘qi’. Its aim is to harmonize the mind, body and spirit, promoting both mental and physical well-being through softness and relaxation. When practiced correctly the movements (or Form) of Tai Chi appear rhythmical, effortless and in continuous flow. With the practice of Tai Chi the student becomes revitalized, relaxed, tolerant, self-confident and stronger and healthier in both mind and body. Unlike most forms of exercise and sport, Tai Chi does not rely on strength, force and speed, making it ideal for people of both sexes, young and old alike whether strong or weak. It is this approach that makes Tai Chi such a unique art, and one that brings benefits in many areas. Even with a small amount of practice, you will find beneficial effects to your health & fitness. The mind and body relaxes, helping to combat the stresses and strains of modern society. It gently tones and strengthens your muscles. It improves your balance and posture. It improves some medical conditions, e.g. cardiovascular, respiratory and digestive disorders. Through its long history, there are many reports of improvements and even cure of some medical conditions e.g. hypertension, gastric disturbances, heart and musculoskeletal disorders. Indeed the lack of reliance on tension and speed makes it uniquely applicable to anyone suffering from such disorders. See also a National Institute on Aging study on the benefits of Tai Chi for seniors. Developing high level skill in Tai Chi requires dedication and persistent correct practice. With such practice women and men can attain equal proficiency, and effortless power. The subtlety of such skill cannot be adequately described…. only felt.